BURLINGTON, N.C.--(BUSINESS WIRE)--Jun. 14, 2017-- LabCorp® (NYSE:LH), a leading global life sciences company, announced today that its Covance Drug Development (Covance) business will extend its capabilities in precision medicine by opening a dedicated, state-of-the-art companion diagnostics laboratory in Morrisville, North Carolina. 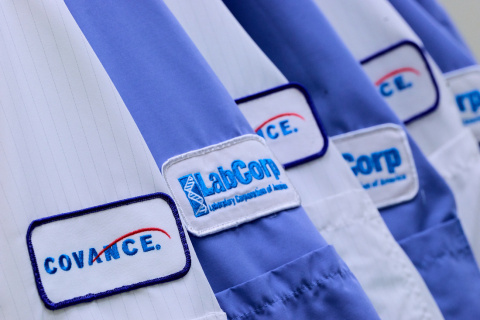 The facility capitalizes on the company’s unique and industry-leading expertise and experience in companion diagnostics, combining end-to-end drug development through Covance with commercialization capabilities through LabCorp. Companion diagnostics are used in conjunction with targeted drugs and therapies to identify patients who are likely to benefit from a specific treatment regimen or who may have increased risk for certain side effects. Both Covance and LabCorp Diagnostics have been involved in the development of drugs and their associated companion diagnostics for more than 20 years. The company has played a role in the development of approximately three-quarters of the companion diagnostics on the market today. In 2016 alone, it participated in more than 60 companion diagnostic programs supporting 145 clinical protocols. The new laboratory is part of a multi-use facility that also includes a genomics and molecular pathology laboratory to support clinical trials and diagnostic assay development, as well as a nuclear magnetic resonance (NMR) laboratory that houses the first NMR spectrometer approved by the FDA to identify and quantify concentrations of lipoproteins and small molecule metabolites. The site also houses manufacturing facilities for diagnostics materials and testing components. In addition, its location offers convenient access to nearby LabCorp specialty laboratories, including the Center for Molecular Biology and Pathology in Research Triangle Park and the Center for Esoteric Testing, located in Burlington. These facilities, which house top researchers and scientists in the laboratory industry, create a focal point for the development and commercialization of precision medicine diagnostics. LabCorp (NYSE:LH), an S&P 500 company, is a leading global life sciences company that is deeply integrated in guiding patient care, providing comprehensive clinical laboratory and end-to-end drug development services. With a mission to improve health and improve lives, LabCorp delivers world-class diagnostic solutions, brings innovative medicines to patients faster and uses technology to improve the delivery of care. LabCorp reported net revenues of nearly $9.5 billion for 2016 through the contributions of 52,000 employees in approximately 60 countries. To learn more about LabCorp, visit www.labcorp.com, and to learn more about Covance Drug Development, visit www.covance.com.